A: I started in our organization as the Executive Assistant to our President and throughout my tenure have been promoted 5 times in 7 years. I have had wonderful moments at Eastridge and been able to work with multiple verticals in our Commercial and Professional Staffing Divisions and now lead our internal recruitment and training function. I am honored to have grown in the organization working on international RPO business and supporting clients and brands I feel passionately about. I believe that the sky is the limit at Eastridge and I have already surpassed my wildest dreams on what I thought was possible here. Therefore, I believe my biggest accomplishment has yet to come. A: Opportunities are out there waiting for you to take them, but they are earned not given. You have to work hard and do the job you want before you have it. There is strength in supporting those around you and asking for help when you need it. Always remain humble, strive to be a servant leader, and never stop learning. A: Our founder used to say, "It's simple, but not easy." I have worked hard to get where I am today and was always taught to be a strong, hardworking woman by my mother and grandmothers from a young age. 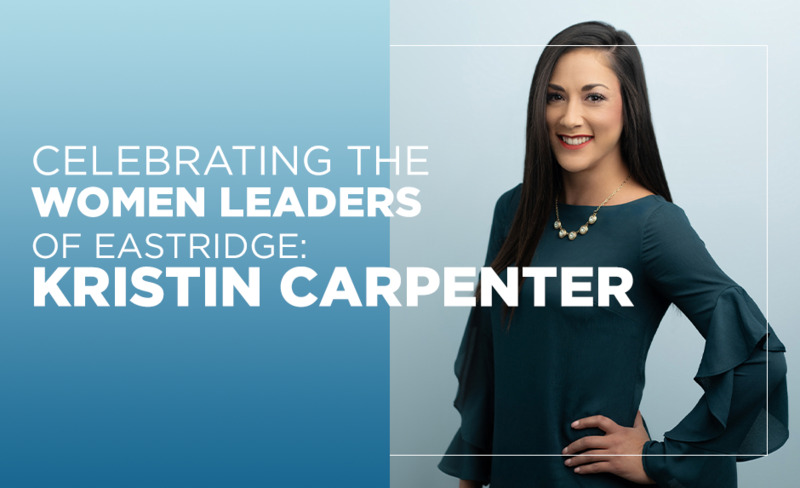 I also have been able to learn from the strong female leaders I have been blessed to work with at Eastridge, especially our CAO, Kasey Hadjis. I was given countless opportunities at Eastridge and have had many mentors in our company, including Seth Stein and Adam Svet to name a few. The leaders of our company took chances on me by trusting me with incredible projects and teaching me the value of Servant Leadership. I truly feel indebted to those who have invested in me along the way and so grateful to them for helping to mold the person I am today.